Deadline is Jessy Switchblade (Vocals), Raven Chaos (Guitars), The Skullprit (Guitars), Judge Mental (Guitars), Baz Steel (Bass) and Dizzy Styxx (Drums and backing vocals) Deadline started out as a fun hobby, playing their first show at a friend’s house party on 7 March 2015. After two shows, the band parted ways with their original drummer Dead-Leigh and he was replaced by current drummer Dizzy Styxx. The band took a few months off so that Dizzy could learn all the material and returned to the live circuit in September 2015 playing a few more gigs in and around Gauteng. The band gained popularity when they partook in the Battle of the Bands, where the winning band would open for Iron Maiden during their South African Leg of their Book of Souls tour in 2016, where they lost in the final. Later that year, they were nominated for a SAMMA (South African Metal Music Awards) in the category ‘best trash metal Band’ but did not win the award. In 2017 they partook in the ‘Battle for Wacken’ competition as well as the yearly Emalyth Arts and Metal Expo, at the time, one of the biggest metal festivals in Gauteng. Later that year, they were nominated for three SAMMA’s, winning the ‘best newcomer’ award and missing out on the ‘best live act’ and ‘best thrash metal’ award. They released their first single ‘Hostage Demonica’ on 29 September 2017. The single was released not only to promote their upcoming debut album, but also to create hype for their first appearance at Krank’d Up music festival, one of the only music festivals in South Africa to feature international acts. On 14 October 2017 Deadline released their debut album, ‘Black Wolf City’ worldwide and followed up with their first tour of South Africa. The tour took them to Durban, Cape Town and Johannesburg. Deadline kicked 2018 off the best way possible by playing at the 11th edition of Metal4Africa’s SummerFest in Cape Town. In April 2018 they were nominated for 3 more SAMMA awards, winning ‘best live act’ and ‘best old school metal Band’ and narrowly losing out in ‘best album’ category. They also released their first music video for their track Bloodbeast that month. Deadline took the rest of the year off to promote their album through the rest of South Africa playing shows at Port Elizabeth, Grahamstown and Bloemfontein playing their first international show in Botswana too. 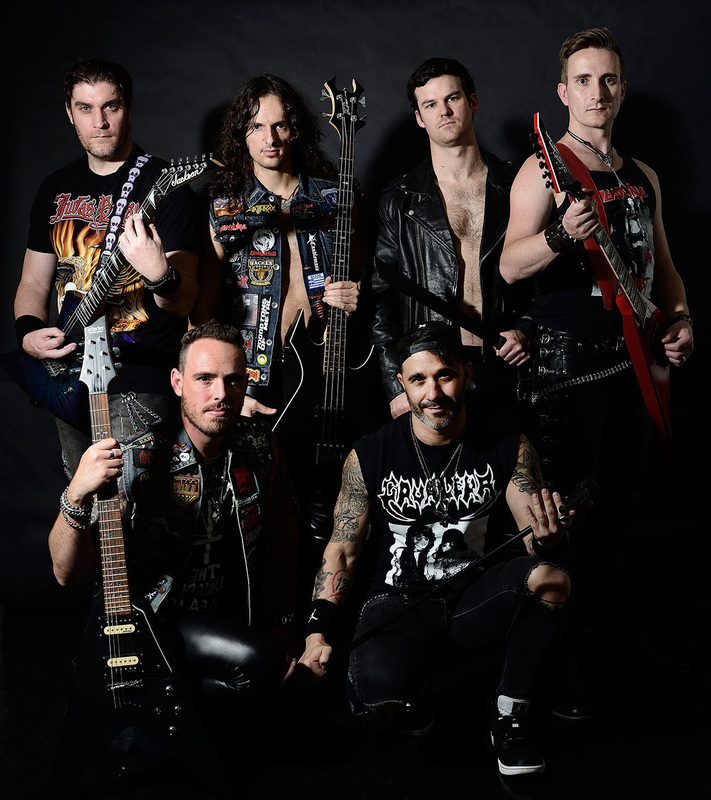 In September 2018 Judge Mental joined on guitar and Deadline upgraded to three guitarists following in the footsteps of Iron Maiden. They are currently working on their sophomore album entitled Cathedral Point which is part two in the Black Wolf City story. The album will be recoded and released later this year.